Your resume has a job to do. What is it? Getting you an interview! Here are four essential tips to help you land that interview. Under each job title, use action verbs to describe your past accomplishments as they relate to the needs of this employer (study the job advertisement carefully). Don’t state your personal qualities (e.g. trustworthy, hardworking); instead, describe your accomplishments (e.g. increased sales by 90 per cent over two years). Reflect back to the employer that you understand their needs by using the keywords from the ad. For every point on your resume, place yourself in the employer’s position and ask, will I be meeting their needs with this information? Put your most relevant experience first. Use bullet points and keep it concise. You don’t need to use the pronoun ‘I’, as in “I did this or that.” They’ll know it was you because it’s your resume. Avoid putting in extraneous information, such as your hobbies, church affiliations, or the fact that you are available for an interview (of course you are!). 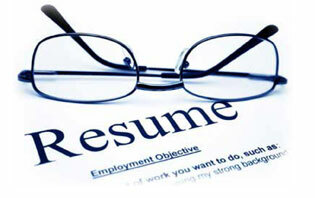 One typo or negative phrase can send your resume to the trash. Proofread it a couple of days after you write it (but before submitting it). Then, have two people proof it for you. Finally, print it and read it out loud to someone else. Put your name and contact information on each page. Choose a format that will look good in the body of an email as well as in a Word document. Keep your resume to two pages maximum, and allow for lots of white space between words and paragraphs, in a 12-point common font. Ready to submit your resume? Visit any Breton.com website and click on ‘Find a Job’. Our services are international and powered by Local Eye Site.